Oh, February. How can a month rivaled only by Smarch itself for dreariness somehow also be the most sci-fi time of the year? How else to explain the fact that the calendar’s shortest month always feels like its longest? (Not to mention the whole Celebration-of-Groundhog-Day-As-Time-Loop-Movie aspect.) Really, the only thing to do with February is to immerse yourself in fiction until March arrives. 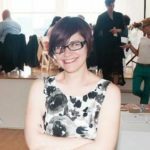 To aid you in that task, I’ve found a couple of terrifying visions of the future, an epic fantasy infused with African myth, and some bright new SFF lights all the way from China! 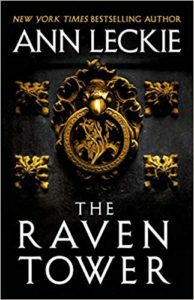 This may be the most highly anticipated fantasy novel of the year. Marlon James’ follow-up to the 2015 Man Booker Prize-winning A Brief History of Seven Killings is a giant, multi-part fantasy infused with African folklore and culture, ranging from the solid reality of a man named Tracker into the far more mythical land that Tracker must explore to find a missing child. And as if all that doesn’t sound fantastic enough, his partner on his journey is a shapeshifting manimal named Leopard. Charlie Jane Anders follows up her sci-fi/fantasy combo All The Birds in the Sky with this tale of a dying world. On the appropriately-named planet January, the sun never sets, meaning burning heat and light for some, but frigid temperatures and utter darkness for any place outside of its rays. Two cities have been built between the two extremes, but even these have begun to fail. When a student named Sophie is pulled into a revolutionary movement, she finds herself cast out into the darkness and has to find a way not only to survive the brutal cold, but also to build alliances with the strange beings who live beyond the light of the sun. Kick-started by the historic success of Cixin Liu’s Three-Body Problem, we’re currently in the midst of a very exciting period for Chinese science fiction. 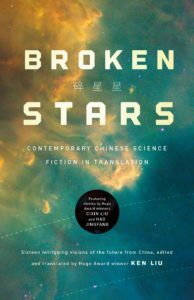 Broken Stars, collected by author, editor, and translator Ken Liu, gathers 16 of the movement’s best recent contributions, from authors such as Xia Jia, Han Song, Baoshu, Hao Jingfang, and Chen Quifan. 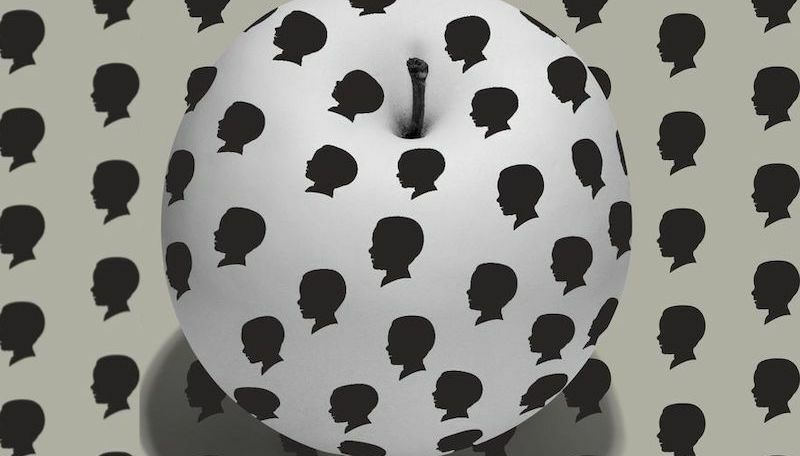 Most of the stories are quite new, having been first published in China in the 2010s, and they cover a wide range of flavors—from cyberpunk and space opera to alternate histories of China and stories soaked in references to current Chinese life. The collection also includes essays on the historic sci-fi wave that has swept through the Chinese literary landscape in recent years, which will provide some context for people new to this particular subset of the genre. Ann Leckie has written four sharp, perceptive space operas, and is now trying her hand at epic fantasy, awash with revenge plots and the doings of ancient gods. A land known as Iraden is watched over by two deities: the God of the Silent Forest, and the Raven. The God of the Silent Forest is attended to by the Mother of the Silent, while the Raven sometimes speaks through a living bird called the Instrument. The land’s ruler is meant to sacrifice himself when an Instrument dies, but when the warrior prince Mawat returns from battle, he learns that his father has gone missing, the current Instrument is dead, and his own (still very much alive) uncle sits on the throne. Rather than stay in Mawat’s Hamlet-esque POV, however, the story moves between the perspective of Mawat’s aide, Eolo, and a third god, The Strength and Patience of the Hill, who offers a very, very old perspective on the petty plots of man.